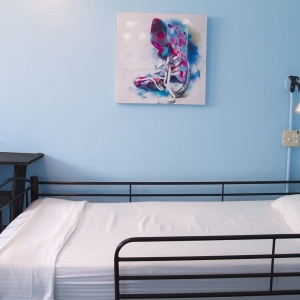 Magnolia Inn's Hostel is comprised of 6 Dorm Rooms. 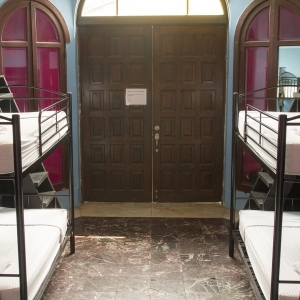 Five with bunk beds and air conditioning. 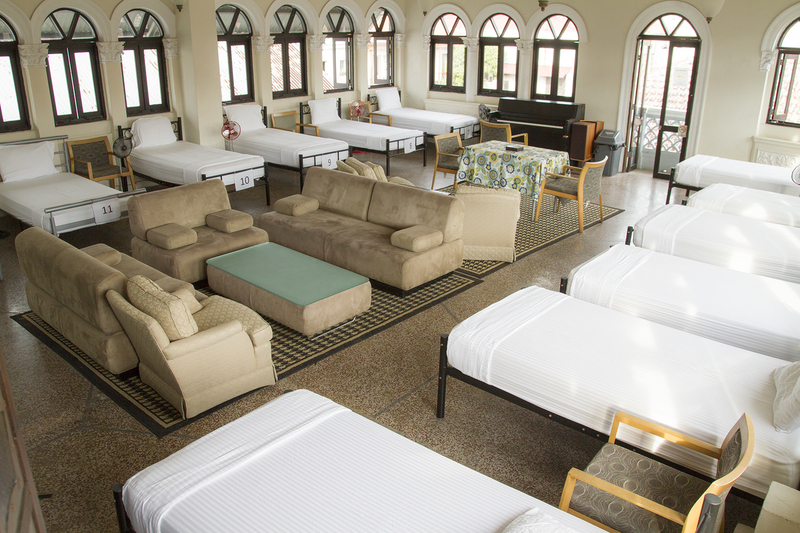 One with single twin beds and no air conditioning. 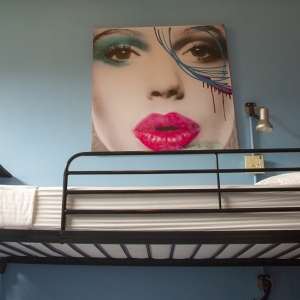 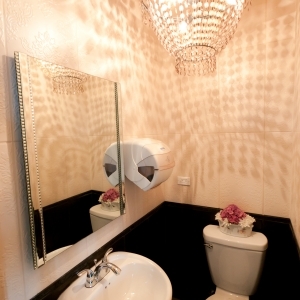 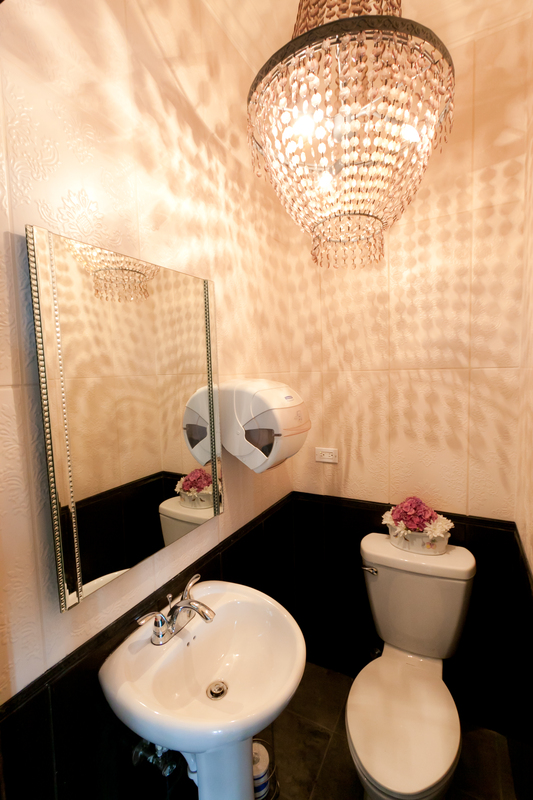 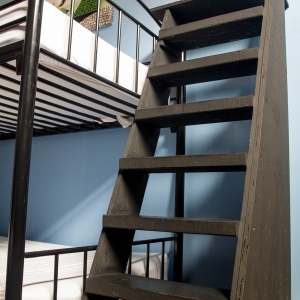 Our luxury hostel sets the bar for budget accommodation in Casco Viejo. 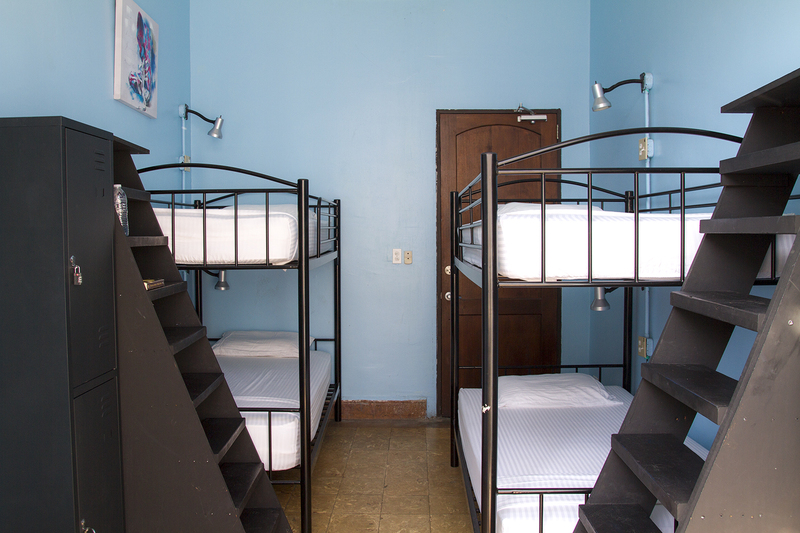 The dorms offer a superior level of comfort and cleanliness and were designed for the modern day global traveler. 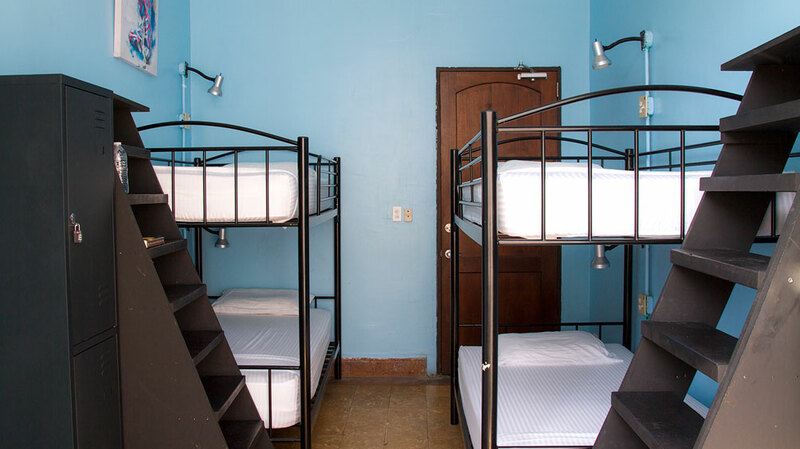 Dorm Rooms 1, 2, 3, 4, & 5 have air conditioning, ceiling fans, beds with orthopedic mattresses, reading lights, electrical socket for charging , free Wi-Fi, wooden stairs to the top bunk and lockers. 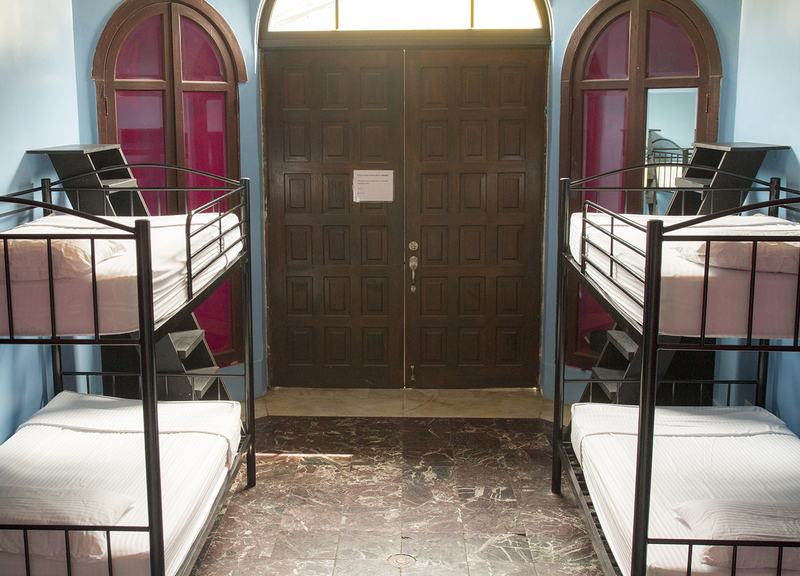 6 bed dorm price is $15 per bed. 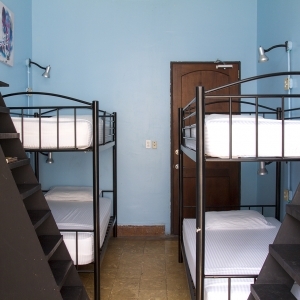 4 bed dorm price is $17 per bed. 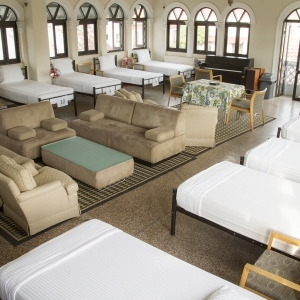 The "Ballroom" has 12 single beds. 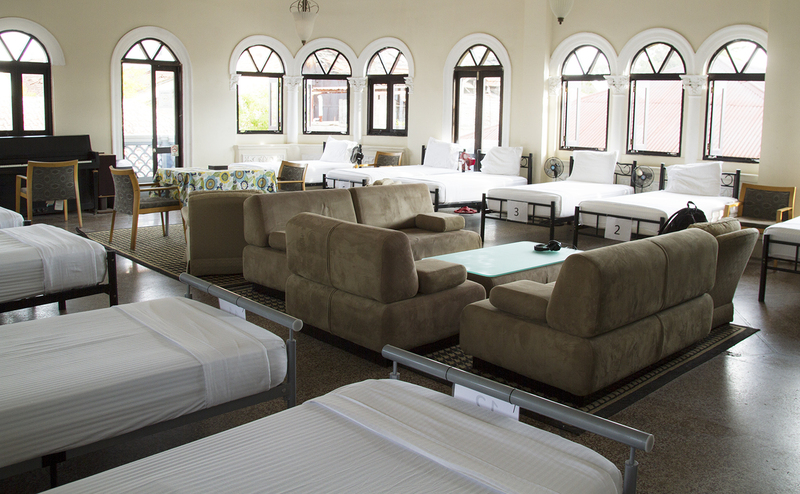 This spacious room offers our guests an option without air conditioning for travelers who prefer sleeping with open windows. 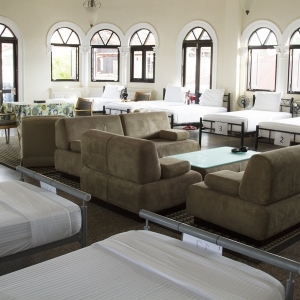 It has 26 wonderful windows around this rounded room with two small balconies. 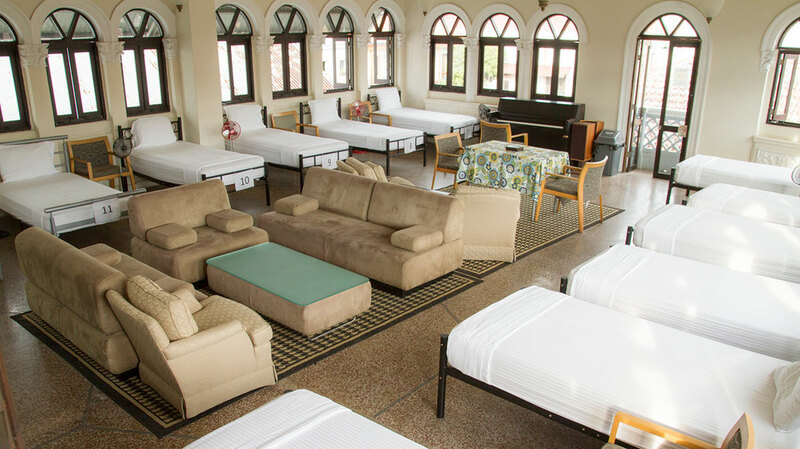 This grand room has its own living room area and even a piano (players welcome). 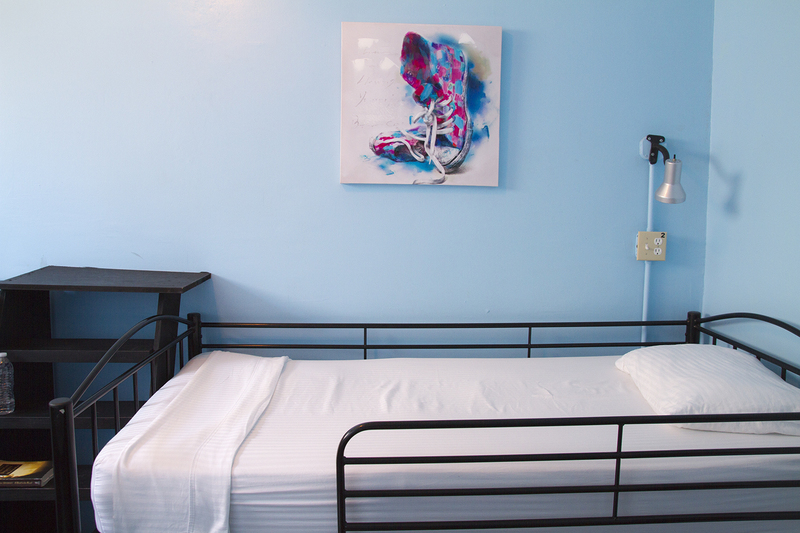 Every bed has its own personal floor mounted fan, chair, electrical outlet, orthopedic mattress, free Wi-Fi, and locker. 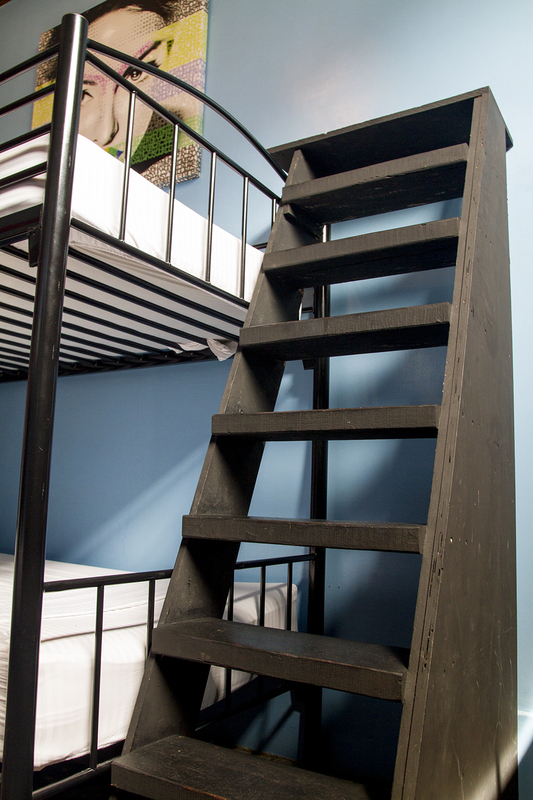 Price per bed is $14. 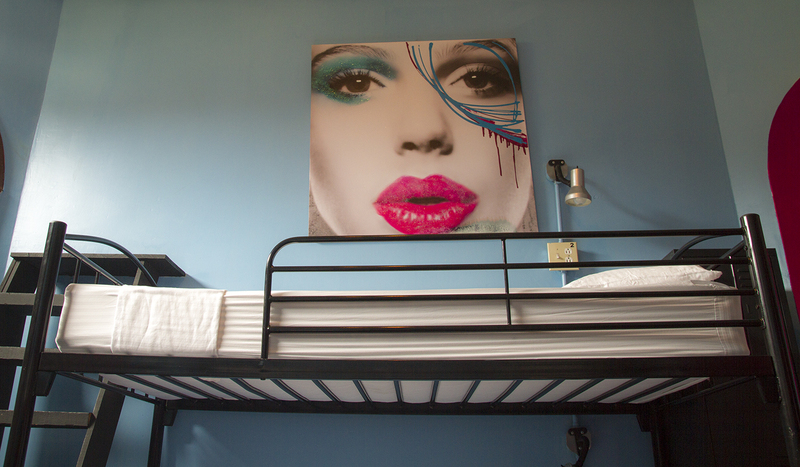 This room can also be booked as a private dorm room for groups.